Oklahomans saw bobwhite quail numbers rebound in 2014 to numbers not observed in quite some time. New hunters were introduced to quail hunting, and seasoned hunters took part in a longstanding hunting tradition that had been disappointing in recent years. With the quail season now over and a renewed interest in quail still high, now is the perfect time to consider implementing quail-friendly management practices to continue bringing back the bobwhite. It’s been said time and again that weather and habitat are the keys to bobwhite production. Although nearly all of us would enjoy being able to control the weather from time to time, it is, unfortunately, a variable that is out of our control. Habitat, on the other hand, is something that we manage for on a daily basis, whether we realize it or not. As land managers, knowing what benefits quail and what is detrimental to quail can be the difference between having quail or not. Sometimes simple measures can bring about great benefits for quail and other wildlife. In general, quail thrive in areas that have some type of disturbance adjacent to native grass, cropland and woody cover. But implementing some type of disturbance isn’t the only management practice that can benefit quail. 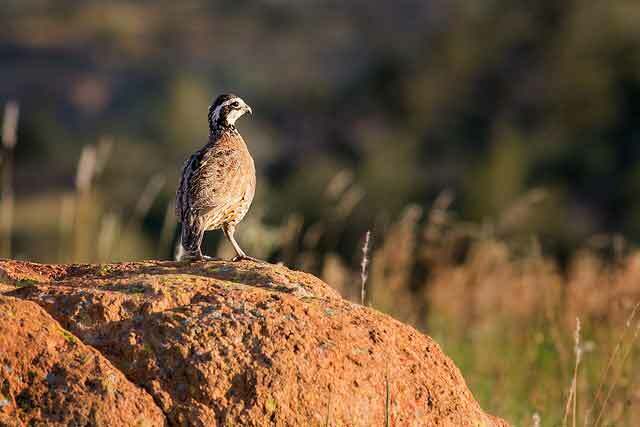 The table below includes a list of quail-friendly practices that land managers may want to consider implementing when managing property this year.